As ever we'll be challenging our wonderful chefs to cook over our huge campfire. No conventional ovens, hobs or microwaves in sight! This year the campfire cooking sessions will be held on the lawn of Hawarden Castle. Food with a view! Sandor Ellix Katz is a fermentation revivalist. His books Wild Fermentation and the Art of Fermentation, along with the hundreds of fermentation workshops he has taught around the world, have helped to catalyse a broad revival of the fermentation arts. A self-taught experimentalist who lives in rural Tennessee, the New York Times calls him “one of the unlikely rock stars of the American food scene.” Sandor is the recipient of a James Beard award and other honours. Mark is lucky enough to spend most of his time eating, growing, writing and talking about food. His A Year at Otter Farm and A Taste of the Unexpected both won Food Book of the Year; The New Kitchen Garden won Garden Book of the Year. His new book, Sour, is published in September 2019. 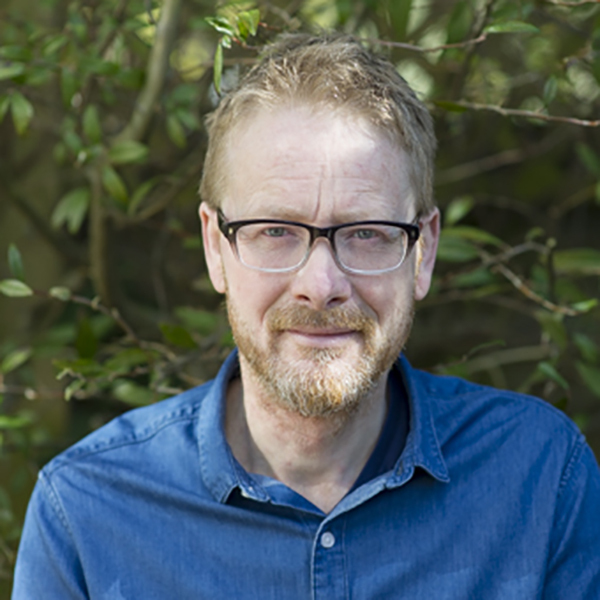 Mark was involved with River Cottage, appearing in the TV series, running courses and events at River Cottage HQ, and he has written four River Cottage books. Mark also writes for a range of publications, including the Observer, the Telegraph and Country Life. His refreshing approach to growing and eating has done much to inspire a new generation to grow some of what they eat. Mikkel began his career in Denmark, and soon moved on to work at some of London’s top restaurants. He would later move back to Copenhagen, becoming part of the New Nordic movement. Whilst back in Copenhagen Mikkel worked in the Danish parliament and would go on to change focus and leave the world of fine dining. 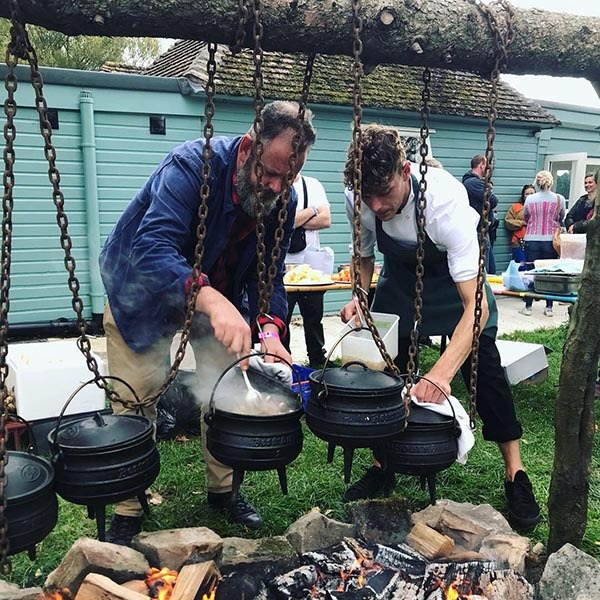 Today Mikkel is a freelance chef involved in many projects, from cookbooks to magazines, creating better food for the elderly or as he did in the summer of 2018, cooking over open fire on an island in the Swedish archipelago. Stuart is a London-based photographer and author. He’s passionate about simple, seasonal and foraged food. Matthew and Iain Pennington are the owners and chefs at award-winning restaurant, The Ethicurean. The restaurant, tucked away in a Victorian walled garden, offers views of the Mendip Hills and artisan food reflecting the brothers’ philosophy of eating seasonal, local and sustainable. For Iain and Matthew, taking produce from farm to fork in a matter of hours, is a serious business. The radius for the majority of their food is within 20 miles. The brothers have learnt a lot about preservation; pickling, curing and fermenting ensure that the restaurant is functional all year around and so that food waste is kept to a minimum. The Penningtons' philosophy and cooking skills have earnt them many accolades over the years including winning The Observer’s Best Ethical Restaurant in 2011 and more recently being named in The UK’s Top 100 Restaurants 2017 in The Sunday Times. Anja Dunk grew up in the Welsh countryside where homegrown produce and wild foraging were part of daily life. Here began her love for preserving. She now lives with her young family just outside London where she is a caterer and freelance cook. She is co-author of Do Preserve - Make your own jams, chutneys, pickles and cordials. Her latest book, Strudel, Noodles and Dumplings: The New Taste of German Cooking, is a TGLE favourite! George is a passionate chef, inspired by seasonal organic ingredients. He has been working with Damian Clisby at Petersham Nurseries, Richmond for just over two years and loves the amazing seasonal produce grown at Haye Farm in Devon. Then there’s the incredible fish from the west coast! George is a passionate forager and can think of nothing better than getting lost in the woods with a flask of tea and his mushroom basket. The dish he will be cooking over the fire will be: Crispy Haye Farm belly of pork, Charred Pineapple salsa and Spelt and Rye flatbread. Yes! Grace is the founder of SpiceBox, the fantastic vegan street food brand that operates under the banner of ‘Plant-Powered Indian Food’. After a successful run on the street food circuit with KERB, Grace has recently turned to bricks and mortar. SpiceBox is also a vegan curry house in Walthamstow. 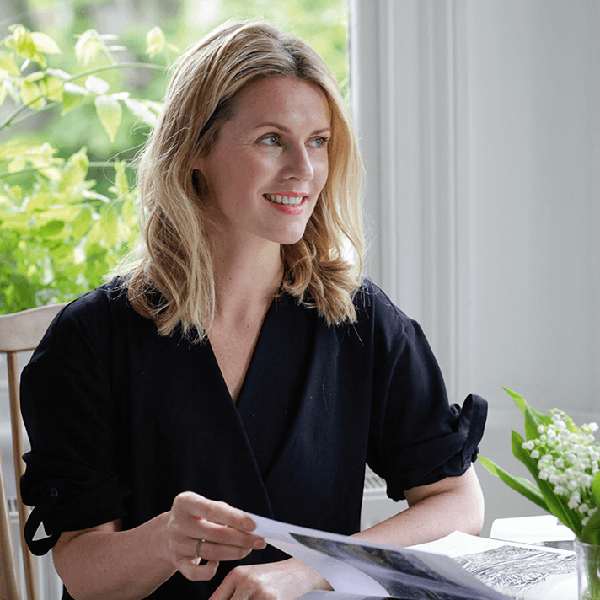 Olia Hercules is a Leith’s-trained chef, recipe writer and food stylist. She honed her cooking skills in the fiery kitchens of Ottolenghi after which she worked as a freelance recipe tester and developer for a variety of food magazines, including Sainsbury’s and Jamie’s, and appeared in a Food Network cookery show Red, Hot and Yummy. She was picked as Observer Rising Star of 2015 in food category and her recipes are regularly featured in 10 Best column of The Guardian’s Cook supplement. Olia's book Mamushka: Recipes from Ukraine & Beyond was published in 2015. Her next book, Kaukasis, was published in 2017. Signe Johansen is a Norwegian cook and author of How to Hygge, Scandilicious, Scandilicious Baking and most recently Solo: The Joy of Cooking for One. A longtime whisky enthusiast, she is the co-founder of 'Spirited Women', a project to get more women into whisky and other spirits. 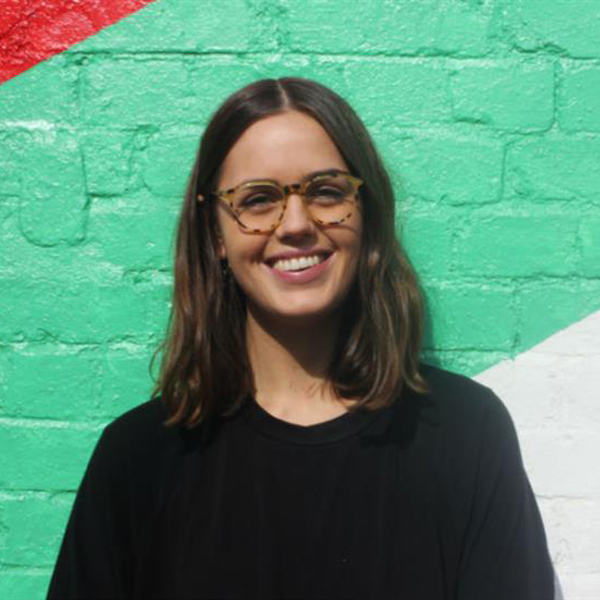 Signe trained at Leith’s School of Food and Wine in London, worked in several of the UK's top restaurants and went on to do her masters in the anthropology of food at SOAS Food Studies Centre at the University of London. She has appeared on Kirstie's Handmade Christmas, What's Cooking and Sunday Brunch. Valentine Warner is a cook, food writer, broadcaster and co-founder of Hepple Gin. From an early age he says he understood the world through his mouth and subsequently bit everything from paint tubes to table legs. Val trained as a portrait painter before putting down the brush to pick up the spoon. Today he is best known for his BBC 'What To Eat Now' TV & Book Series, with a strong focus on robust, flavoursome food. He has written for The Times, The Independent, Countryfile, Delicious, Waitrose Food Illustrated and Olive magazine, to name a few. A very keen outdoors man, Valentine can often be found seeking new adventures outside the kitchen and, most likely, fishing. Sarit Packer and Itamar Srulovich are the award-winning chefs and authors behind the Honey & Co. empire which includes a diner serving traditional, homey Middle Eastern fair in London's Fitzrovia, a deli, a Grill House, a cookbook, and a weekly column for the FT weekend magazine. Roger Phillips is a mushroom maestro and one of the most respected foragers in Great Britain. In 1975 his began his life’s major work, photographing an encyclopaedic collection of world plants, with his first book -Wild Flowers of Britain- selling 400,000 copies in the first year! He has since written 20 additional volumes with combined sales of 4.5 million copies worldwide. Roger has also written and presented two major six-part TV series on gardening for BBC and Channel 4. Roger’s latest book, Wild Cooking, is due to be published by the excellent Unbound later this year. Tom Hunt is an award-winning chef, food writer, campaigner, and author of The Natural Cook. Tom worked with Hugh Fearnley-Whittingstall as a course leader, cook and food stylist on the River Cottage TV series. Tom also writes for various publications including the Guardian. Tom runs Forgotten Feast a campaign promoting sustainable food through dining and celebration. Forgotten Feast creates banquets with food waste and/or topical ingredients. Working closely with charitable organisations including Slow Food, FareShare and Action Against Hunger, Tom highlights important concerns in the food industry. Tom founded his festival cafe Poco in 2004 which has now grown into two tapas restaurants located in Bristol and London. In its opening year Poco London was awarded the most Sustainable Restaurant of the Year at the Food Made Good Awards. Poco follows Tom’s Root to Fruit Eating philosophy, is 100% seasonal, and 95% waste free, recycling and composting everything. A chef and food writer, Trine is an enthusiastic advocate for sustainable solutions, organic sourcing and food cooked with love. With her great knowledge of Danish food and food culture, she writes compellingly about her extensive expertise and life experiences in food. Trine’s new project, Hahnemann’s Køkken, a bakery, coffee bar, pastry shop, food store, cookery school and event space has just opened in Copenhagen. 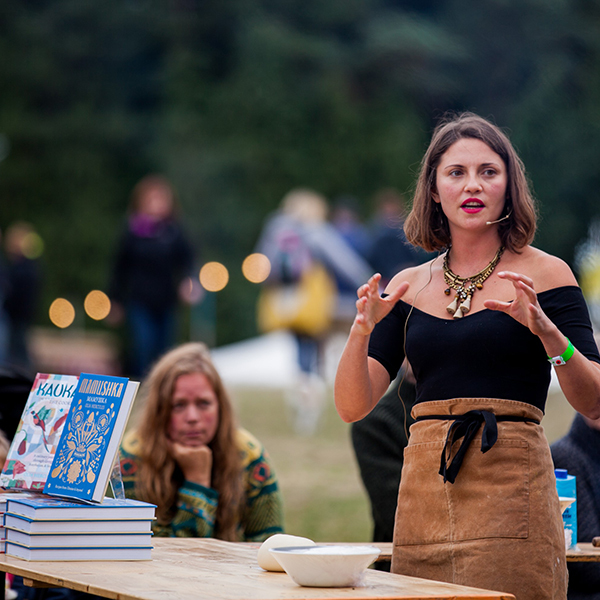 Trine has written ten cookbooks in her native Danish and seven in English: The Scandinavian Cookbook, Scandinavian Christmas, Eat Nordic, Scandinavian Baking, Scandinavian Comfort Food, Open Sandwiches and her latest book Copenhagen Food, all published by Quadrille. Claire Thomson is a chef and has been for well over a decade. She loves the fast and furious pace of cooking during a busy night at the stoves. However, she now has three brilliant kids and the motivation to fill these three little tummys with nutritional, delicious and exciting food is Claire's primary concern. Cooking in a restaurant for people interested in what’s on their plate and what’s more, are paying for it, couldn’t be more different to cooking at 5pm for hungry fractious children. In fact she find the 5pm slot a lot more demanding. It’s not called the witching hour for nothing. Claire has published 5 O'Clock Apron: Inspiring Recipes for Children, the National Trust Family Cook Book and most recently the much celebrated Art of the Larder: Good Food from Your Storecupboard, Every Day. Julius Roberts is a cook, farmer and vegetable gardener who celebrates nature with a deep respect for ingredients, seasonality and animal welfare. Sustainability is at the heart of everything Julius does. Tickets to The Good Life Experience are on sale now! You can head to TGLE for two or three nights of The Good Life. Or you can head here for the day and night of Saturday. Camp or stay off-site, book a glamping pitch or bring the campervan. The choice is yours. At the heart of it all there are two simple aims; to create something truly unique and to do things really, really well. Head to Hawarden this September 12-15th and become a guardian of the good times.